Are you thinking about purchasing a weighted blanket? If so, you might feel overwhelmed with all of the different choices out there! 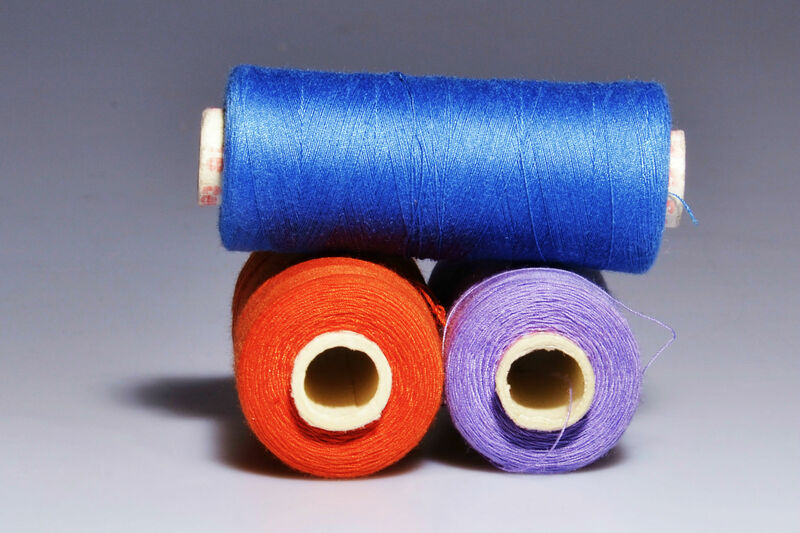 Size, weight, fabric material – it can be enough to give you anxiety! But do not worry – we have done the research and put together this guide to make your life much easier. Read on to discover our guidelines for weighted blankets, along with our recommendations for the best weighted blankets on the market today. Who Should Use A Weighted Blanket? The first and most important thing you need to consider is the weight of the gravity blanket. Why? Because the weight of the blanket is what creates the Deep Pressure Touch (DPT) sensation, thus helping with a range of ailments from stress, anxiety, depression, to even insomnia and sleep-related issues. Deep Pressure Touch is comparable in many ways, physiologically speaking, to receiving a long and relaxing hug. The table above is just an estimate of what the average person prefers when it comes to their weighted blankets. Some people go a few pounds in either direction. However, the important thing is that it is heavy enough to create a DPT sensation, and yet light enough where you can easily maneuver and take the blanket off of you. An easy way to think of what weight is probably best for you is to use the 10% rule. Simply take 10% of your body weight, give or a take a few pounds. Here is a simple example – if you weigh 170 pounds, you will most likely utilize a weighted blanket that is around 17 or so pounds. Once you have decided on the approximate right weight of your weighted blanket, the next thing you need to consider is what size you need. To answer this question, you simply have to ask yourself – when will I be using my weighted blanket? Is it for day-to-day sleeping? If so, a standard blanket that will fit on your mattress will suffice. Do I need it for traveling? If so, a weighted shoulder wrap, which is like a weighted blanket but only fits around your shoulders is probably best. If you have a large mattress, we looking into a weighted blanket designed for couples, as they tend to be significantly wider than the standard version. This is the final piece of the puzzle when it comes to picking out the right weighted blanket for you. Now that you have decided on the proper weight and size, you need to think about what fabric is right for you, and then look for quality craftsmanship and build quality. There are 3 types of fabrics that are commonly used when constructing weighted blankets – Cotton, Flannel, and Fleece. Cotton weighted blankets tend to be the heaviest, are breathable, and are also quite comfortable – they are great for a weighted blanket that is going to stay in the home. Cotton is by far the most popular material. Flannel weighted blankets tend to be a bit warmer and are easier to clean. This makes a fleece a great material if you need to travel, or plan on ever camping with your gravity blanket. The final option is fleece – fleece blankets tend to be available in a variety of different prints, and are comparable to flannel, as they are quite warm. When it comes to build quality, you want to look for a weighted blanket that is either using premium glass beads or poly-pellets as the weighting material. These tend to be evenly distributed and hypoallergenic. Some cheaper weighted blankets use low-cost materials such as rice or barley, and these are ineffective because they do not distribute weight evenly. Weighted blankets have a litany of incredible benefits. 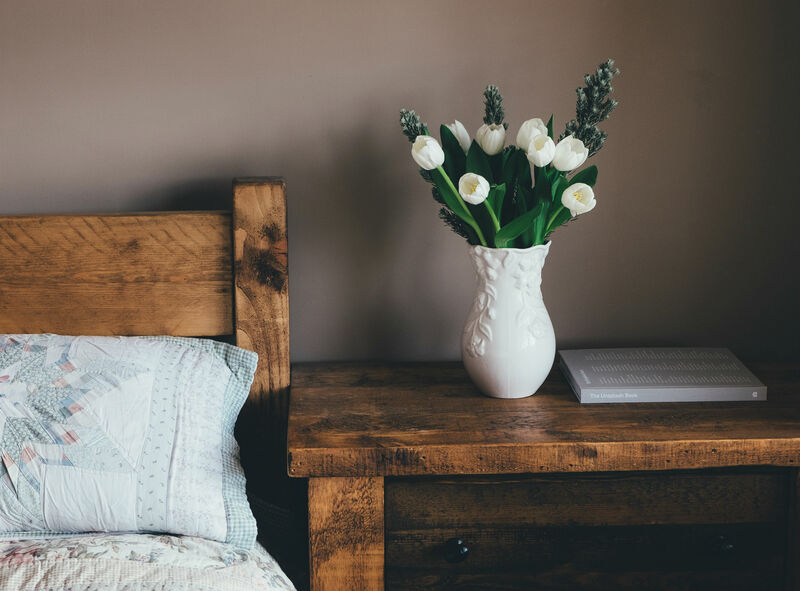 The Deep Pressure Touch (DPT) sensation has a variety of effects – it can help stimulate both serotonin and melatonin production, which helps improve mood and allows you to fall asleep quickly and more easily. It may sound simple, but the release of these two chemicals can help with anxiety, depression, stress, PTSD, insomnia, and more. In reality, almost anyone could most likely benefit from the use of a weighted blanket. If you have any sort of depression or anxiety issues, the use of a weighted blanket is a side-effect free way to experience near immediate relief. (Note: If you are suffering from any sort of medical issue, seek medical attention immediately). However, weighted blankets can also be used by people who simply would like to have a better nights sleep – it has been reported that the use of a compression blanket can easily help with trouble falling asleep, or trouble tossing and turning all night. Additionally, if you simply want a side-effect free way to relax, a weighted blanket can be a phenomenal tool to relieve stress. There you have it! 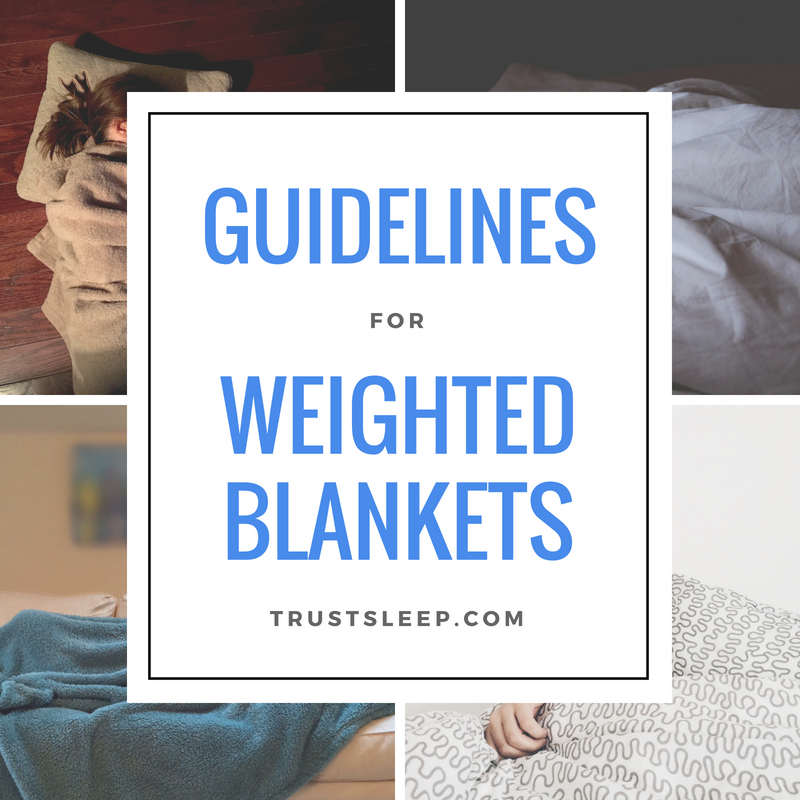 Our guidelines for weighted blankets, along with our recommendations for the best-weighted blankets on the market today. We hope you have found this guide useful, we hope you enjoy the use of whatever weighted blanket you choose to utilize. Please keep in mind that this website does not give medical advice. If you want to use a weighted blanket always consult your doctor first. Do you have any experience with weighted blankets? Feel free to leave a comment below!